Huawei has unveiled three MediaPad M5 tablets at Mobile World Congress 2018 with one model with a 8.4″ display, another with a 10.8″ display, and a Pro model adding a pen, support for an optional keyboard cover, more storage to the latter. All models will come with Hisilicon/Huawei Kirin 960 octa-core Cortex A73/A53 processor, displays with 2560×1600 resolution, plus WiFi and optional LTE connectivity. The tablets run Android 8.0 Oreo with EMUI 8.0 “emotion UI”, and ship with a charger, a cable, a USB Type-C to 3.5 mm headset jack adapter cable, an eject pin, a Quick Start Guide, and a warranty card. The Pro version also adds HUAWEI M-Pen Stylus. With the combinations of screen size, storage capacity, and WiFi/LTE versions, we end up with 16 variants whose prices are shown in the table below. 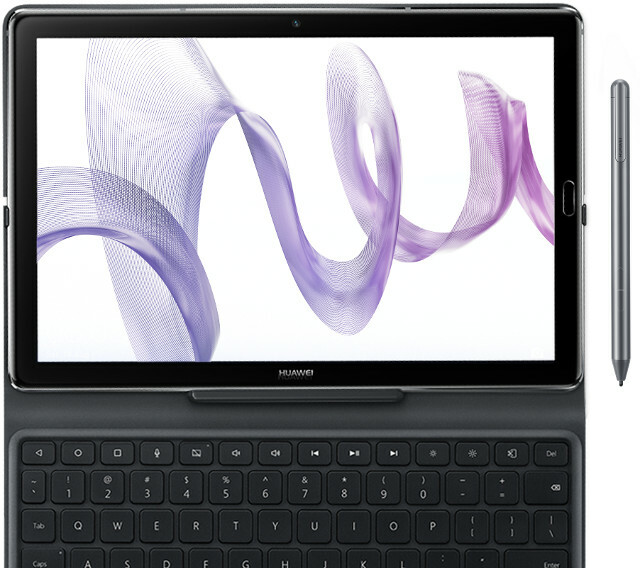 More details can be found on Huawei MediaPad M5 product pages.